Yachtsons – Superyachts News, Luxury Yachts, Charter & Yachts for Sale. Bio: Yachtsons is a foundation laid by expert hands to the emerging market needs for Yachts, Super Yachts and Mega Yachts. Specialized in all aspects of Yacht Handling, we are the brand’s creed offering you absolute services. Evolving the idea of Yacht Handling, we are a team of 21st century caretakers of Yachts and other marine mediums. We offer you a cost effective mean and a quality service delivery in a reasonable time period. Located at Maafannu Sun Beam in the capital Male’ City, our Head Office is equipped with a team of expertise on Yacht Handling with decades of experience with our extended services from Haa Alif Uligam to the Southernmost Airport, Seenu Gan. We acknowledge the demand for a reliable and quality service delivery to visiting Yachts and other vessels in Maldives it is majorly a water based county. We ensure our hospitable services ranging from Logistics, Security, Operations, Entertainment to bunkering and provisioning. We are the extremes at sea-freight and air-freight handling. 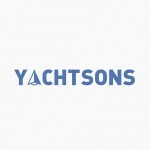 The magnificent team of Yachtsons is headed by Yachtsons Managing Director with its wings extended to Asia Pacific via a capable team of associate partners and affiliates. We own some of the best field experts in Maldives as to enhance your journey throughout Maldivian waters. We prefer to stay at your service throughout the cruising, ensuring a 24/7 service guarantee at all means. Our utmost priority lies at making your journey the perfect one. We guarantee you the perfection you deserve. Our open arms will always surround you with care and affection, as your cruising Agent!